We’re at the point in our lives when we always have at least one friend pregnant and temporarily off the party circuit. With the help of Natalie Bovis-Nelsen’s book, Preggatinis™: Mixology for the Mom-To-Be, these friends can still be part of the party and stick to their new diet and drinking restrictions. The book includes 75 delish cocktail recipes and preggatini party ideas (why have a regular baby shower?). If you’re in D.C., meet the author, learn some great party tips and enjoy light fare from the Firefly Restaurant at the Hotel Madera on Saturday, April 25th from 12:00 pm- 2:00 pm. The event is free and open to the public; but you must RSVP first. Call (202) 466-1306 or email rsvp_dc@kimptonhotels.com. 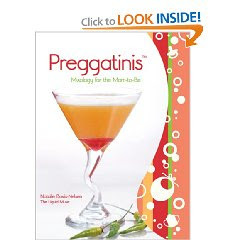 Find Preggatinis Mixology for the Mom-to-Be on Amazon.